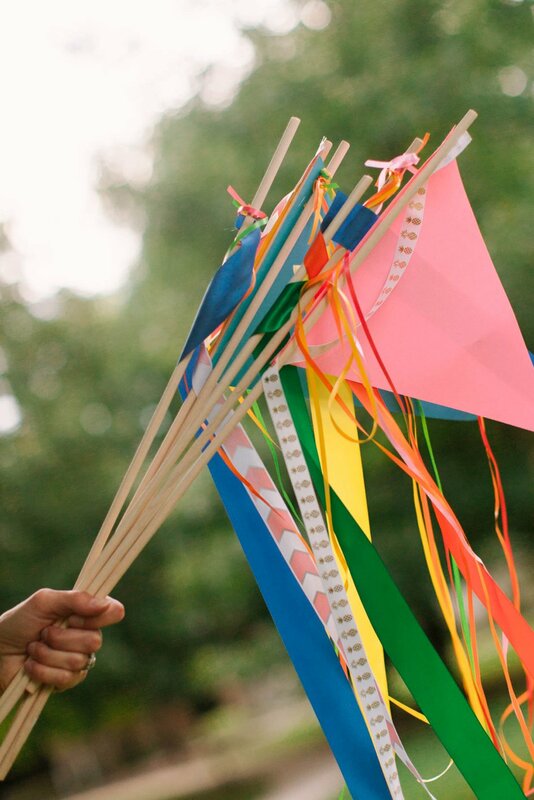 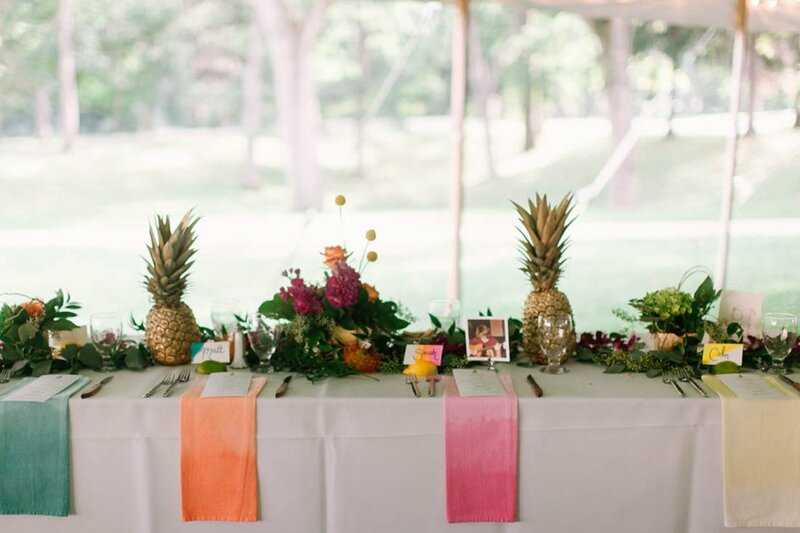 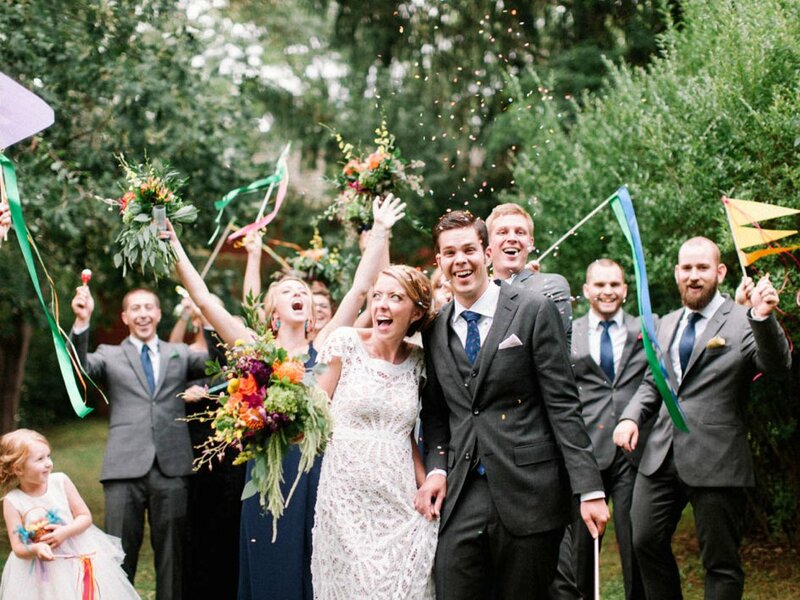 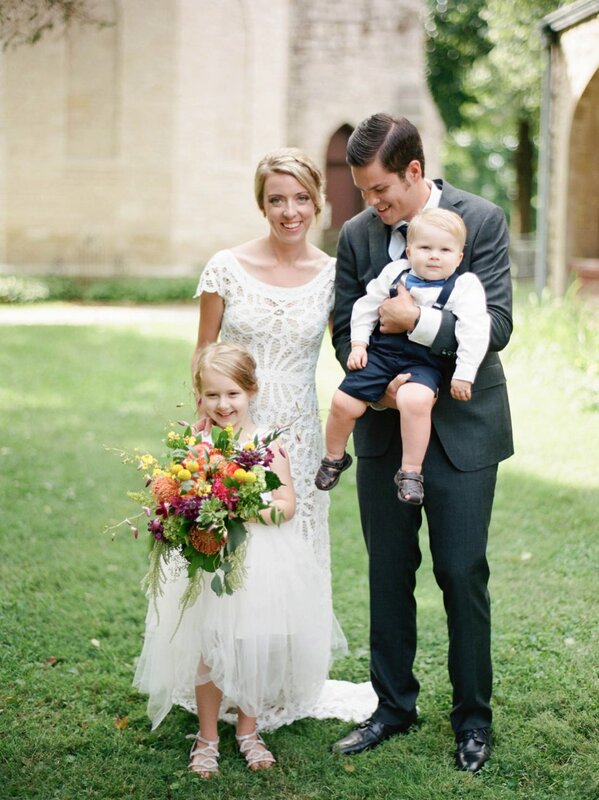 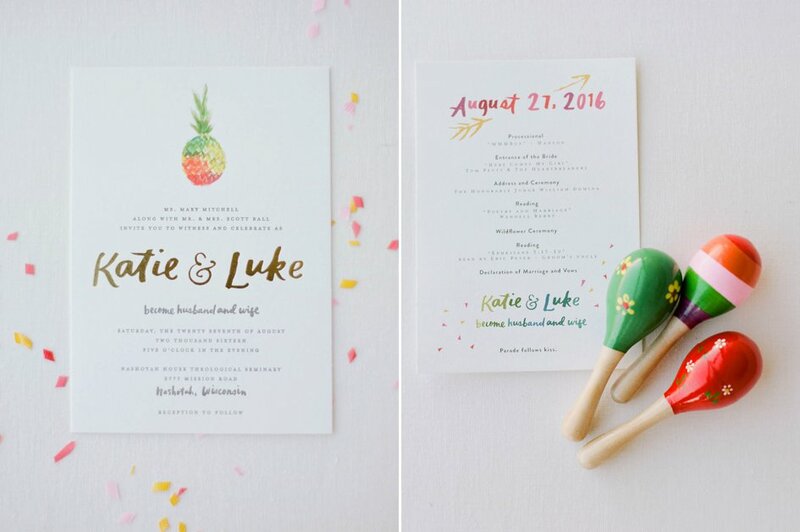 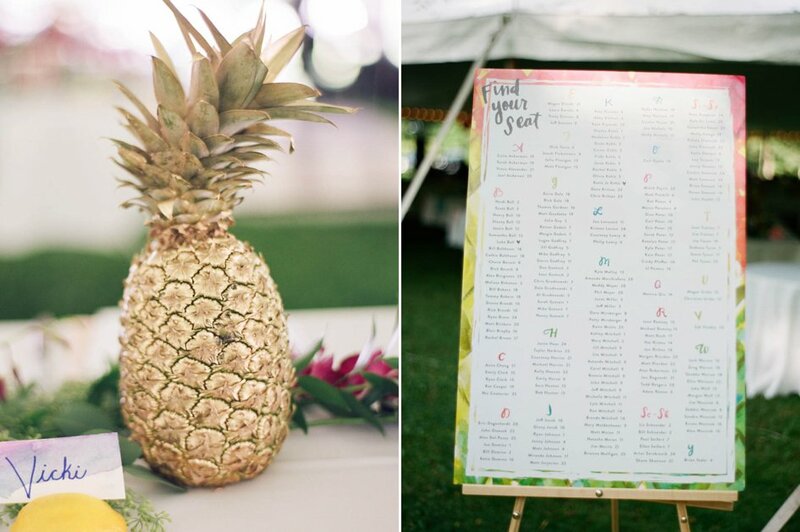 Katie and Luke’s wedding was a whimsical day full of color and joy! 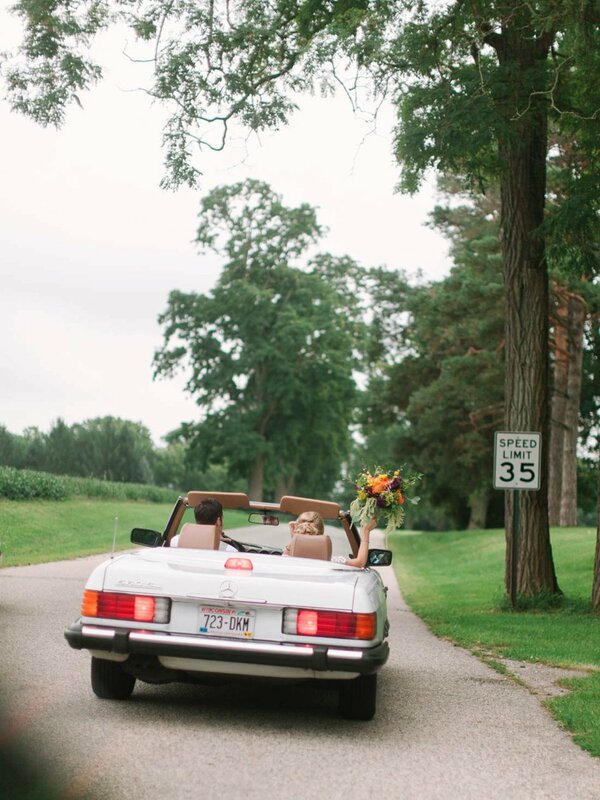 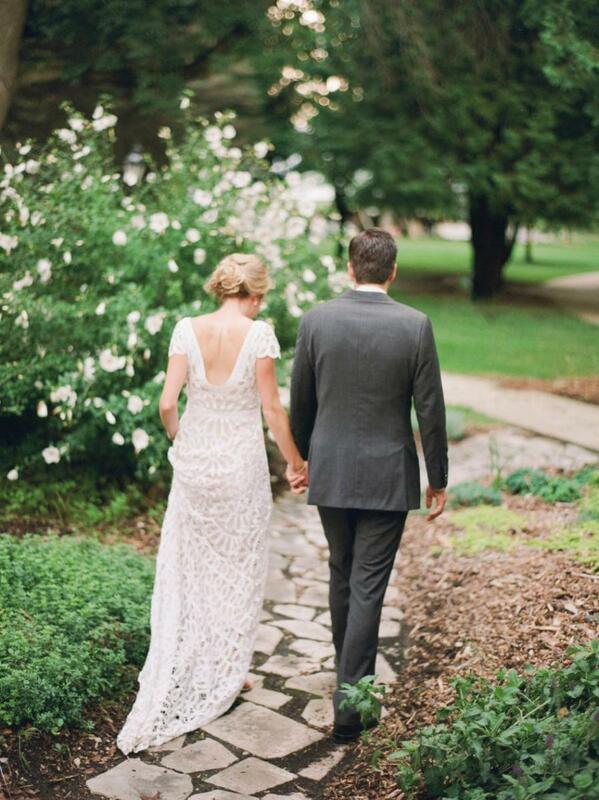 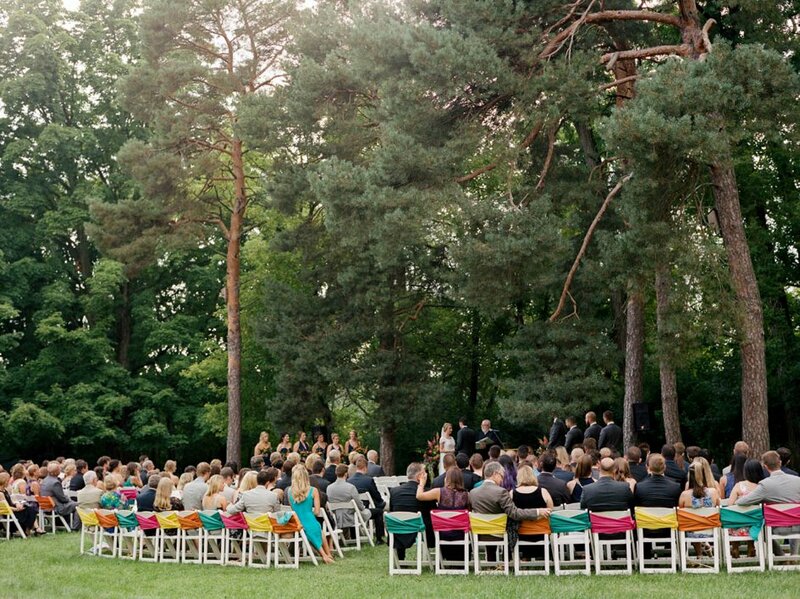 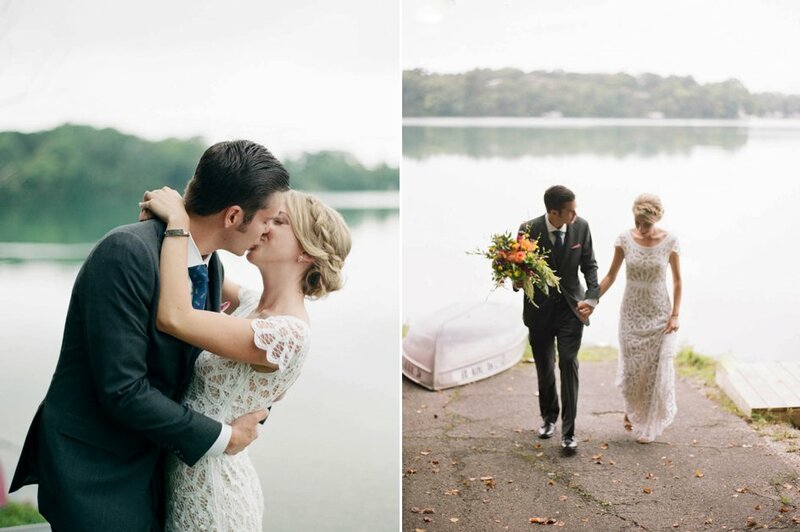 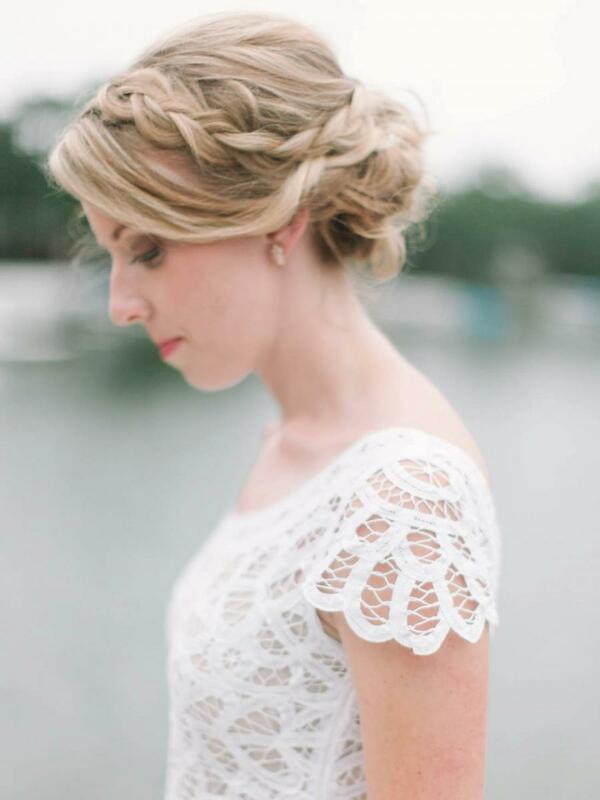 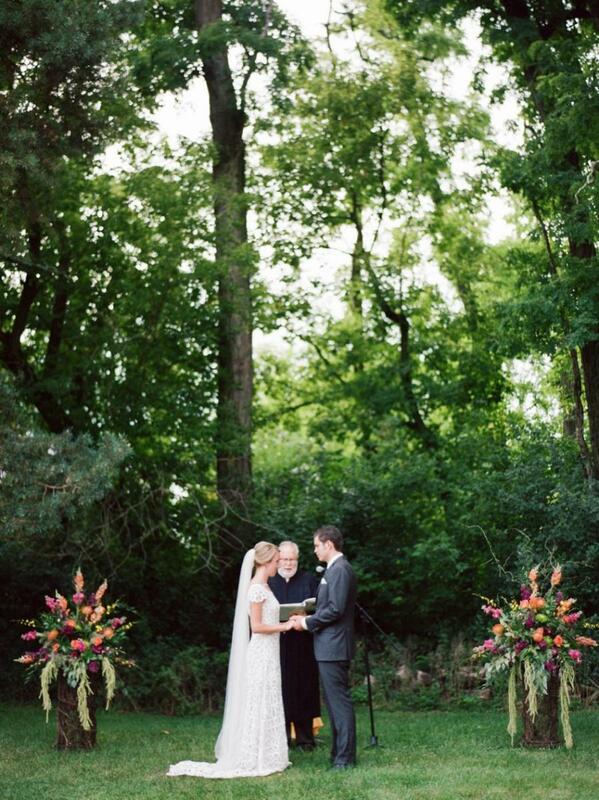 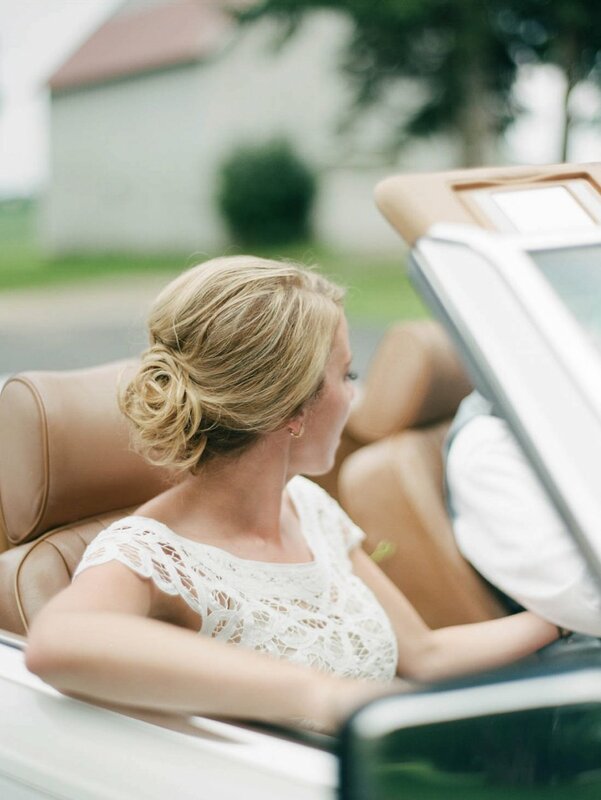 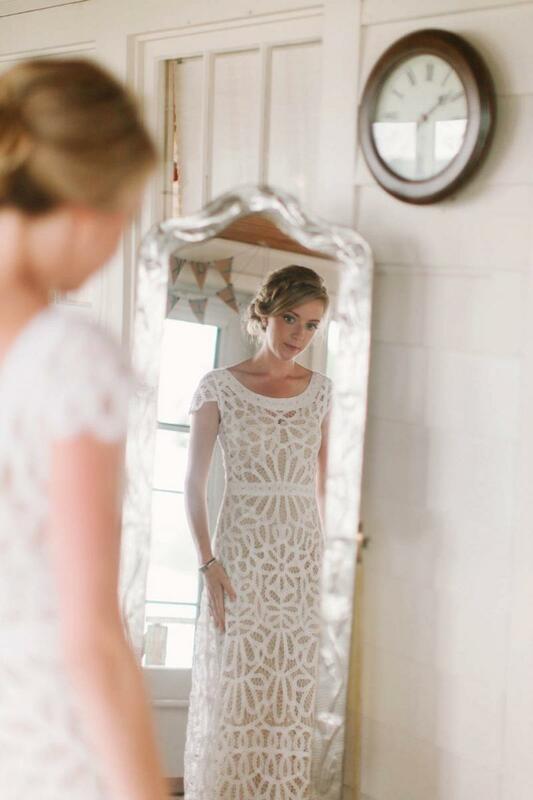 The couple was married in Wisconsin’s Lake Country a few miles from Katie’s family lake house. 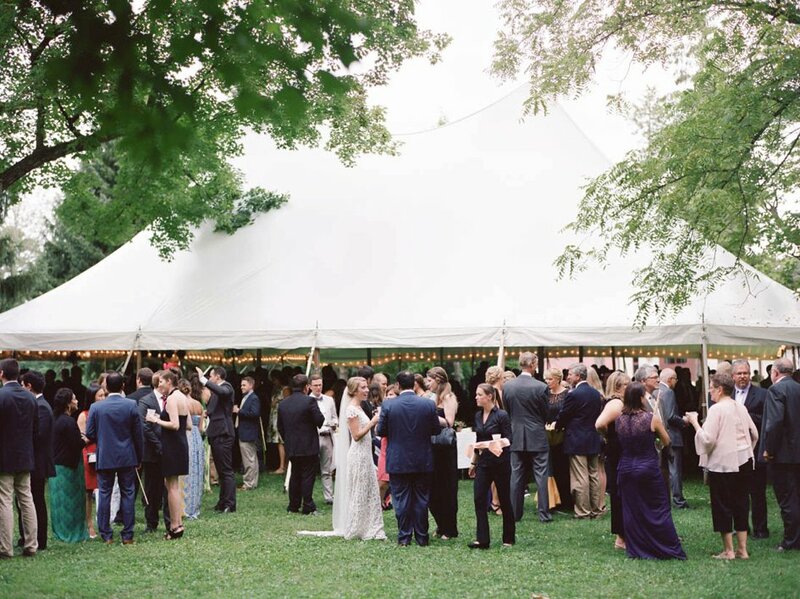 The night before the wedding, guests were treated to a fish fry nearby. 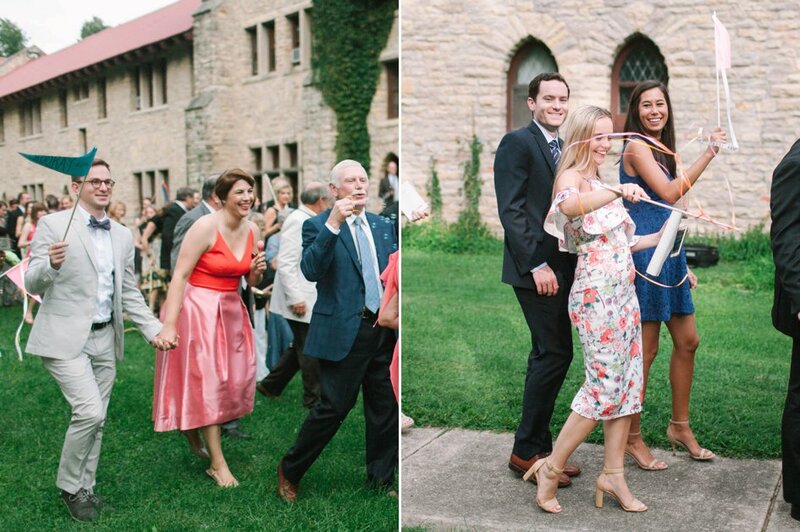 The wedding’s theme was mirrored after their first date - a formal dinner that turned into joining an impromptu parade and splitting a plate of nachos. 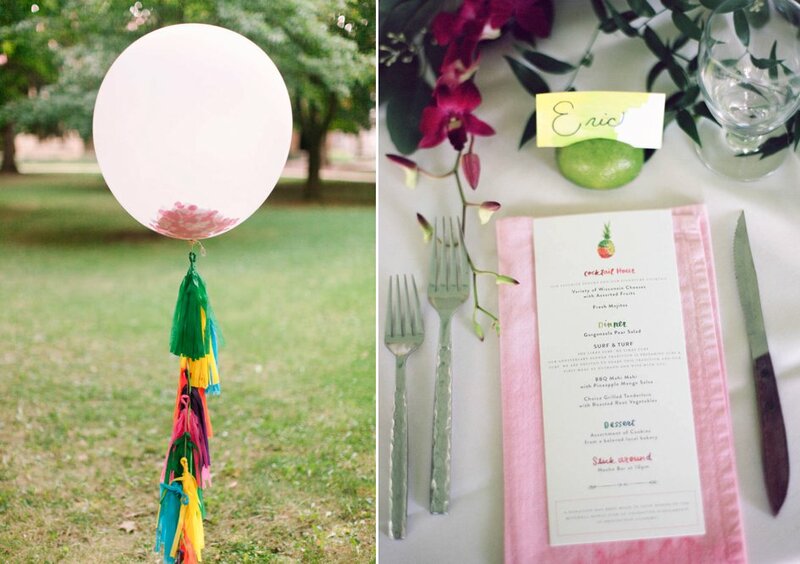 Always the adventurous couple, the wedding reflected their carefree spirit with lots of bold color, including streamers, flags and bright invitations. 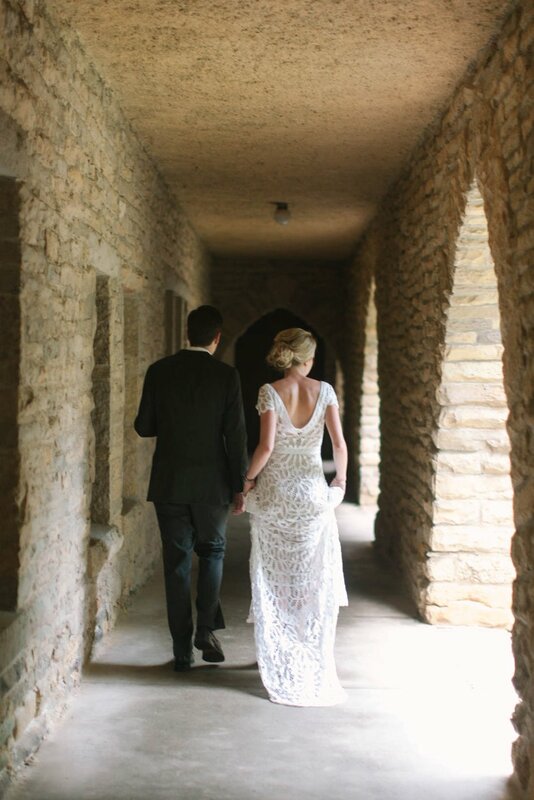 Katie’s bohemian, form fitting gown had unique lace details, a scoop neck and a subtle train. 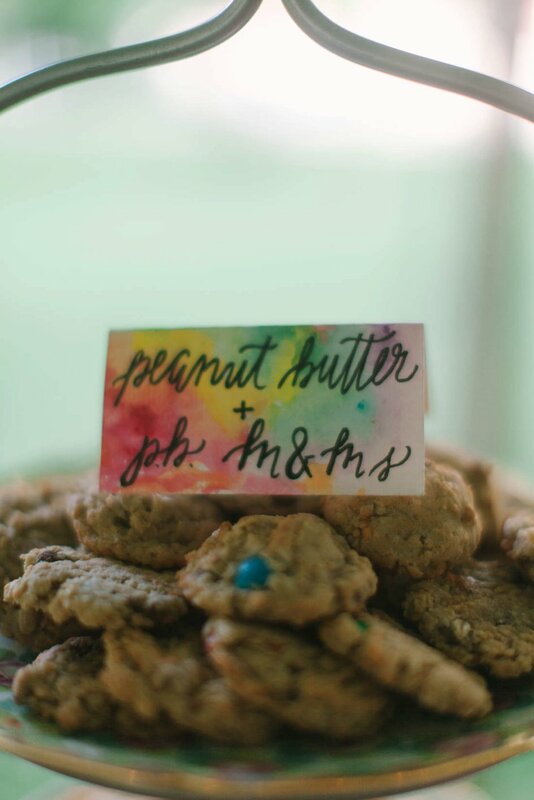 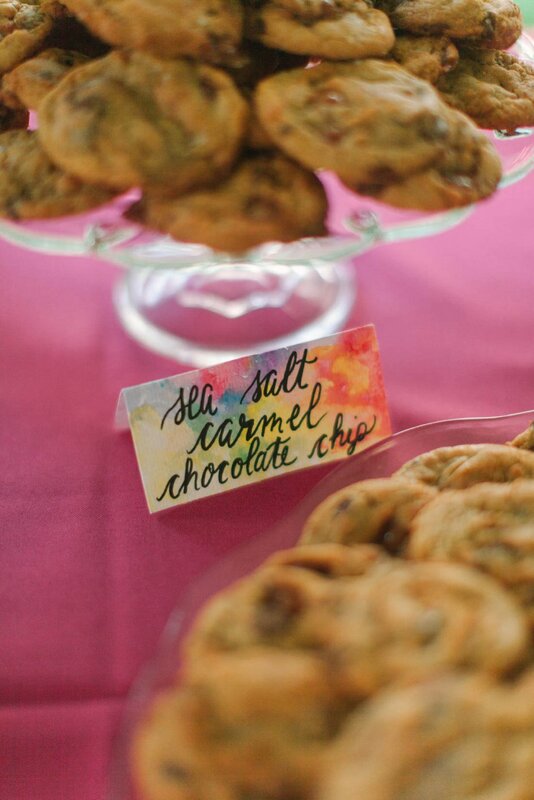 After the outdoor ceremony, guests gathered under a large, airy tent to toast the new couple (and nibble on some fresh cookies). 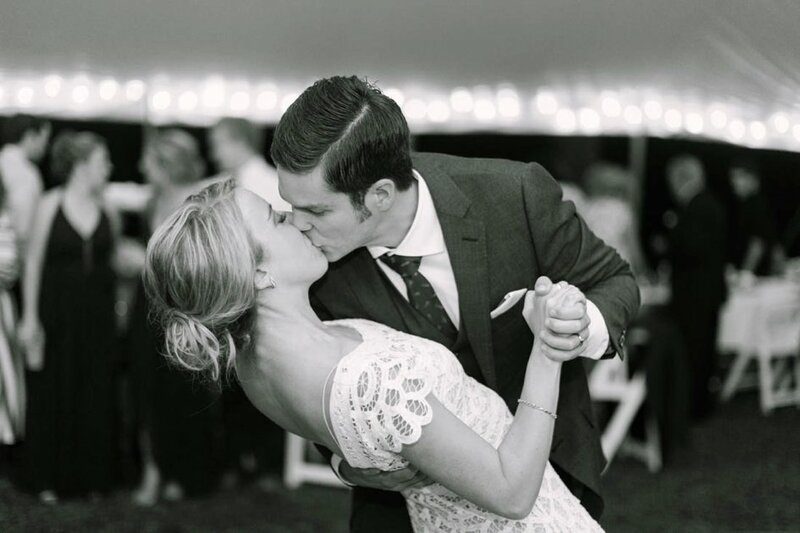 In true Katie and Luke form, the couple started their marriage with a two week safari honeymoon in Africa.